As we all know the winter can play havoc with your skin - it's icy cold and the elements can be relentless. From sleet and snow to sharp and frosty Northern winds up here in Durham, protecting you skin during the winter really should not be taken lightly. 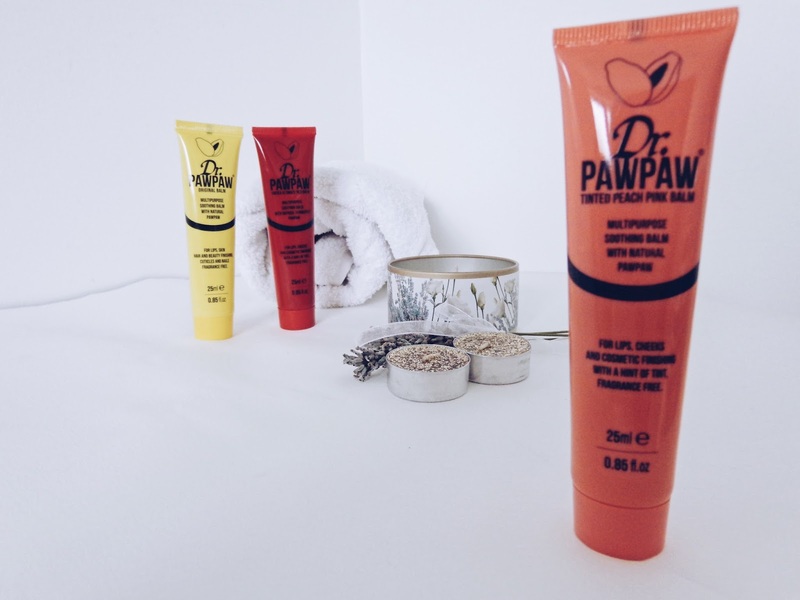 I personally love skincare products which are kind and made using natural ingredients as they're just more balancing for your complexion, so I was delighted when I was sent some of Dr. PAWPAW's balms as they are ideal for AW17 and are full of natural skin goodness, so I was really interested to try them out and see how they worked. I received one of their Original Balms (25ml), Tinted Pink Peach Balm (25ml) and their Tinted Ultimate Red Balm (25ml). 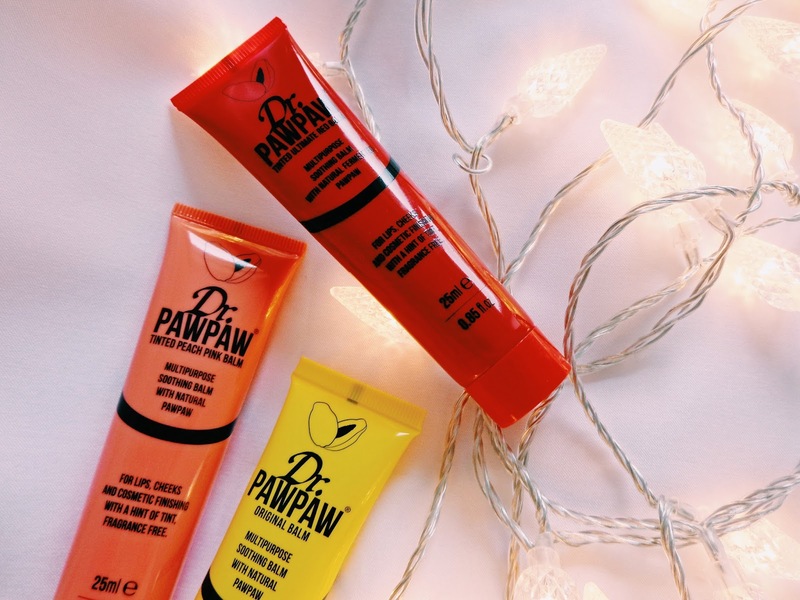 Dr. PAWPAW's balms are versatile, multi-purpose and can be used on skin on your face as a primer, as a eyelash primer before mascara, as a hydrating lip balm, to keep your brows in place, to add finishing touches to your hairstyle, as a hand balm, a base for applying cosmetic glitters (Hello Halloween!) and even as a highlighter for a really natural makeup finish - it's basically a handbag essential. Dr. PAWPAW has been nominated twice in the 2017 Beauty Awards for best new hair treatment product and best classic beauty product. You can vote for Dr. PAWPAW here. Dr. PAWPAW is made using a mixture of natural ingredients including pawpaw (from the Carica papaya plant), aloe leaf juice and olive oil so it has good natural vitamins and antioxidants in it which are kind to skin and naturally help it to stay looking and importantly feeling healthy. It's a natural vitamin balm for your skin. With Autumn well and truly underway, I have been transitioning my makeup to embrace the change of seasons - I think a slightly brighter lip colour can work really well in Autumn and in winter it is also a lovely look I think. 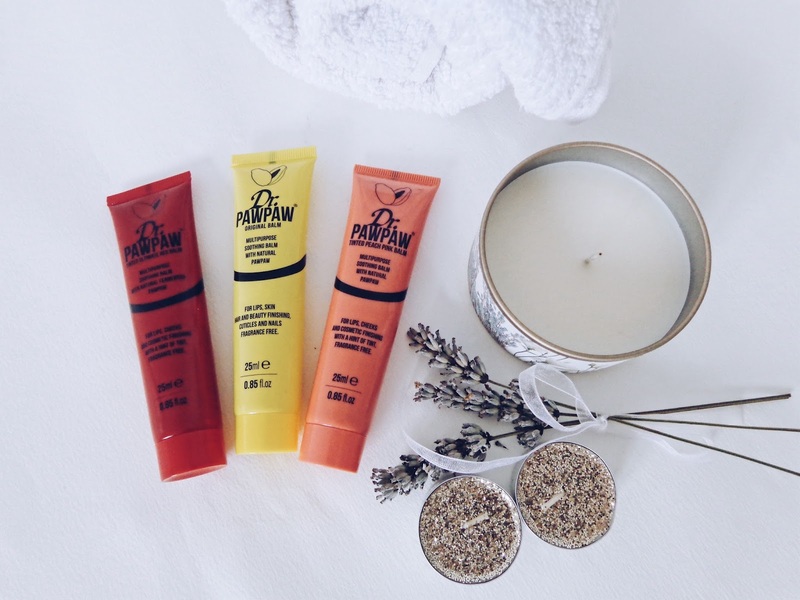 The Dr. PAWPAW Tinted Ultimate Red Balm has a perfectly glossy red hue to it without being overpowering which I like for a day where I want to wear a brighter lip shade but more subtly, if you get what I mean?! The Tinted Pink Peach Balm is perfect for an everyday makeup look too as it adds a gentle peachy pink glow but keeps your makeup look natural and fresh looking. I really like how moisturising they are, as they keep my lips feeling hydrated. These tinted balms can also be used as blush for cheeks! 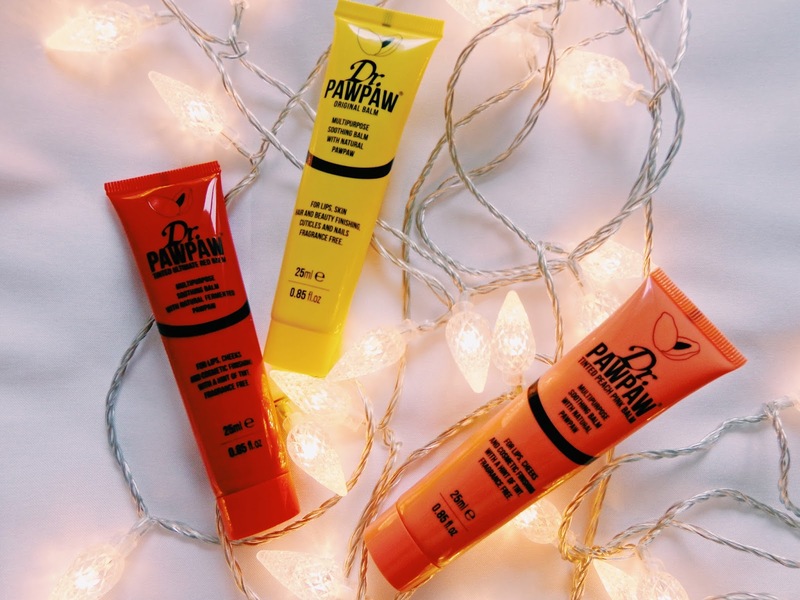 The Dr. PAWPAW balms are probably the most versatile makeup products I have come across! 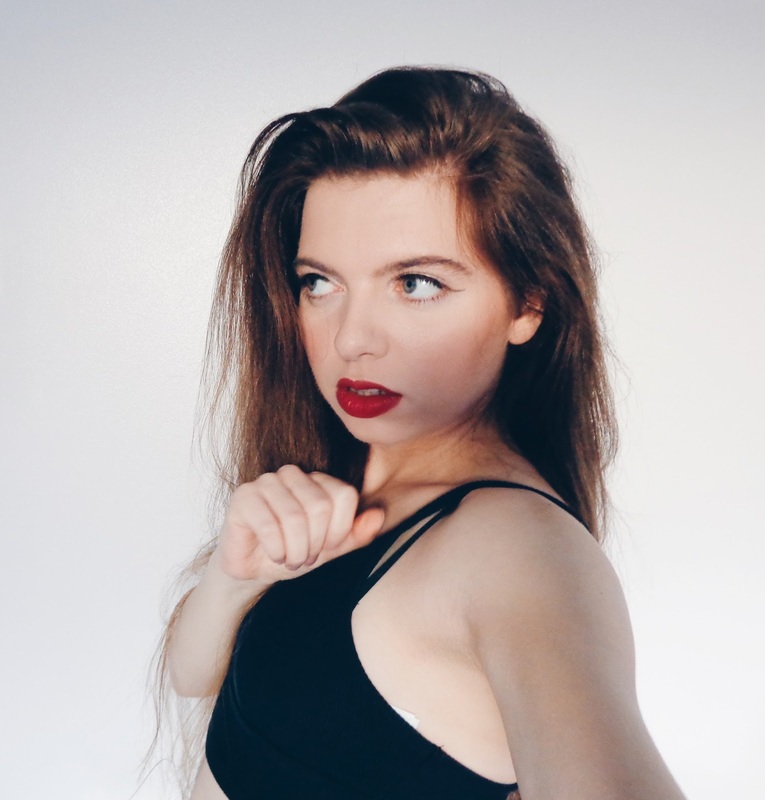 I also tried out the Ultimate Red Balm as a hydrating lip primer with some vibrant colour in it before applying a vampy makeup lip look for a night out. A good makeup tip is if you're wearing a coloured lip gloss but really want to make the colour "pop", you can apply a pigment underneath it first. That's what I did here - I applied the Dr. PAWPAW tinted red balm which hydrated my lips and primed them ready for a bright red lipstick. Doing so really did make a difference - my lip colour went on smoothly and oh so effortlessly, with a lasting hydrated look throughout the night.